To self-publish or not to self-publish? That is the question that bugs many up-coming writers, and that includes me. But let me answer this question, or at least give a comprehensive overview. I have encountered about two viewpoints concerning this issue, the first being that writers should not self-publish at all cost, and the second being that writers should by all means self-publish. Which of these two viewpoints do you favour? Which one should you go for if you are a writer waiting for your big break? It is interesting to note the source of the first viewpoint, namely, that writers should not dare self-publish. You’ll find that it is usually editors and publishing houses who discourage self-publishing, and for good reason! If all writers set out to do everything on their own, where would that put editors and publishers? Definitely out of business and out there in the cold! For the most part, you’d think these tirades are aimed at keeping us writers at the mercy of editors, dancing to their tunes and submitting to their punitive demands while they make money off our writing. Or worse yet, they can make us believe that our writing is not worth publishing at all! However, there’s a lot of evidence on the ground that they may be right, to a larger or greater extent. Some of this evidence is from my own experiences. I’ve experimented with self-publishing to some extent, and most of my experimentation has yielded nothing, if anything at all. There are websites that give you a platform where you can showcase and publish your work. But they make it sound too easy. Quite alright, they give you all the tools that you need to publish your book: you can format the book yourself, design the cover, get an ISBN – in short you can determine every detail of your book. After you are done, you can simply click a button and there, you’re are self-published. And all you got to do is spread a couple of links to your newly published book all over the world-wide-web and watch the money roll in. But it’s not that easy. It’s nearly impossible for people to buy from you if they don’t really know you, that is if you are not famous and all. People got to be sure that they are not just buying any cheap and useless stuff. Unfortunately, a label like ‘Self-published’ often sounds like ‘cheap stuff’ to most people. They’d rather buy a book published by a reputable company. There’s often a lot involved in getting a book published. Apart from the writing itself, which is not so simple a task, there’s the proof-reading, the refining process, which at times involves rewriting whole sections of a book. If you’ve tried to proof-read a book you’ve written yourself, then you know that this is not easy at all. The most frustrating part, apart from not spotting errors, is spotting them each time you re-read your manuscript. You keep wondering how and why you keep missing them. There are other things too that you need to do to make that book of yours a success. You need to promote it. On your own, that is not so easy. Where do you get the resources? Where do you even start? This is where professional publishing houses have the edge. They can easily arrange an agent, or even get media reviews, perhaps even get Oprah to talk about it. And to underscore all this, just pick up your favourite book, written by your favourite author, and check if she self-published it. Is it not a fact that most big names in the writing industry never really did everything themselves? Shouldn’t that tell you something? On the other hand, despite all the bad publicity self-publishing has and does receive, there are several success stories from those who have stayed in the industry long enough, and endured. While it is true that few get it right, it is also true that some get it right. Their success stories are available online, and you can learn how you can do it from them. If you really want to self-publish, the whole point is this: ‘do not give up too soon.’ You may not get it right the first time, but perhaps one day you will. It may take you quite a while if you do it on your own and you may not experience the great and rapid success that big publishing companies can afford you; but what the heck, if your passion is driving you, that’s all you need to get where you are going. Of course, passion on its own is not enough. 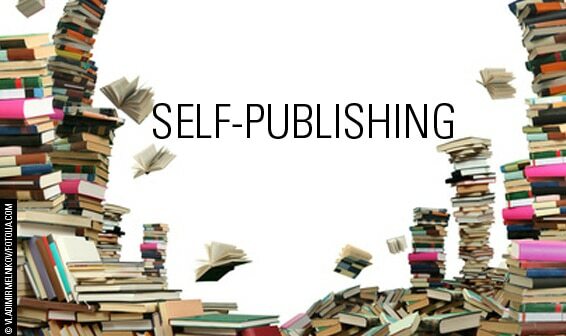 Even though it is called ‘Self-publishing’ you can’t really do everything on your own. You may still need to enlist the help of a few experts when you need them. There is still something I can say for self-publishing, and this is really juicy. If you get it right, and I mean, if you really get it right, you can get the bulk of the royalties. Some self-publishing companies will only get a commission of less than five percent for providing such services to you. You determine the prices of your book yourself. 2. You keep most, if not all the profit. 3. You can fully customize your book. 4. You promote the book yourself, spending your own resources. 5. Most of the time, your books are produced on demand, and usually, there is very little demand. 6. Your work is more likely to contain errors. You do not determine the price of your book yourself. 2. The publishing company keeps most of the profit. 3. Your publisher will determine much of the customization of your book. 4. Much of the work of promoting your book can be done for you. 5. You pay your publisher a good amount of money to publish and promote your book. 6. Your book can reach a vast audience and market quite quickly. 7. Your books are produced en masse. 8. Your book will contain few or no errors because of professional editing services. So now, with all that is stated above, what is your choice? Will you self-publish or not? I for one, have a passion for writing. All I know is that self-published or not, my works will be published, and that’s all I care for. Posted in Articles, Business, PublishingTagged publisher, Self Publishing, SHOULD YOU SELF-PUBLISH?